It wasn’t really a novel. It was 25000 words or thereabouts. Still, an impressive word per day rate. The 1988 Adelaide Festival Fringe had a three-day novel-writing contest. You entered, then wrote your novel on a long weekend and posted your manuscript to Landin Press. There, some poor soul read as much as they were able and picked a winner. The winner that year was Up to your arse in alligators, a rather amusing terrorist farce written by Margo James. Here’s a section of my effort. I have to say that Up to your arse in alligators was a worthy winner. 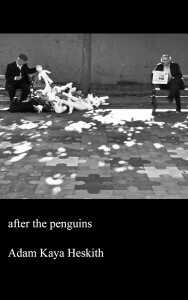 The main protegonist, Mike (a guitarist in a mediocre Adelaide band) is borrowing a bike from Warren (self-styled suburban intellectual). “Well, it’s all a matter of approval. In our society, ‘survival of the fittest’ has another meaning. It is no longer necessary to be physically fit to survive. Paraplegics, people with spina bifida, the mentally and physically handicapped, babies with circulatory abnormalities… medical, surgical and technological advances have ensured that they all survive. Now the quality of survival is assessed with reference to entirely different criteria. These pertain to the ability to survive and advance within society. It is one’s self-concept which dictates how one will be able to relate to other members of the species – one must have approval. Altruism and generosity: these are null concepts. The reason behind a person being altruistic or generous is that he will thereby gain approval – this is the cause of what we call being noble and self-sacrificing. Man is not a noble animal – it is simply that the prime causative factor for behaviour is the improvement of the ego by soliciting approval in various ways that are being constantly tested by experiment. “Yes, well. Obviously, you are part of my target audience. I think a person will always feel the need to seek approval from that initial influence – one’s family. In fact, the first tactics one learns in the battle for the enlarged ego are learned from the family. One finds out which deeds will elicit praise. We discover which will bring attention and surface disapproval but we all recognise sympathy for the underdog, the grudging respect given to the David, who by underhand tactics, brings about the demise of a mighty Goliath. And so we learn to be naughty. We learn to do what we can get away with. We learn not to tell tales. We learn not to boast even when we desperately want recognition for our deeds. And we learn ways to make our deeds know without us directly conveying the information to our target audiences. Then come the friends. And more – we are sent to school. The influences widen. The teacher is a substitute parent. We must accept products of different families with different values. We are faced with behaviours, hitherto unacceptable, but now blatantly exhibited by others. We inform authority of these but are met with disapproval. We try these behaviours and receive more disapproval. We are puzzled. We are told to be ourselves – a manifestly ridiculous instruction as the self is the sum of our perceptions of our experiences in gaining approval from those from whom we require approval. So every new experience in life threatens us. The threat is disapproval, especially from those we know and respect, but also, somehow, from that waiter who smirks at your pronunciation of Italian menu items. We can analyse any person and discover the influences that formes their personalities. It may be easier with the aged who are said to become set in their ways. This is because they have collected such vast experience in the behaviours that deliver the required approval that they scarcely seek feedback as any new information is as nothing when compared with their vast archives of previously acquired knowledge. “Well… in my case, I went to school and reacted to the influences as does everyone. I resented being asked continually what one called ‘a bloke with fourteen rabbits up his bum’. Naturally, I avoided these individuals as I could not retort with insults which they found sufficiently cutting. Crudity did not come easily because of my family influences. I socialised with the types who also avoided the insulters. I found them in the library and gained my approval from success in scholastic endeavours. In high school, I joined the chess club. With these people, longer words brought approval. An accent such as this followed naturally. I went to university and received a shock. There was no more obvious and direct teacher approval. The impersonal nature of the lecture hall did not allow close relationships with professors, and in tutorials I was rather slow to communicate my points. Scholarly achievement no longer brought the rewards I had come to crave. “You may never do so. You see, to complete a work such as this, I would need to perceive sufficient approval to be forthcoming as a result of publication. But I do not. In order to complete the manuscript, I would be taking a risk. The evidence would be there in black and white for trained specialists to examine and dispute. I can speak impressively but I am not good at fielding the types of questions which would undoubtedly be flung. I may lose approval. People would not wish to recognise themselves in my examples. Cultured people do not wish to know that the only reason they do not pick their noses in public is that they fear disapproval. A rabbit runs a swimwear shop. A church has a Patriarch and a treasure chest of Greek Orthodox relics but no congregation. Everybody wants to open a gallery. The government has declared war on the middle-class. This is Istanbul in summer, 2013. A series of apparently unrelated scenarios gradually become linked by a web of business and political machinations. The riot police are not the winners. 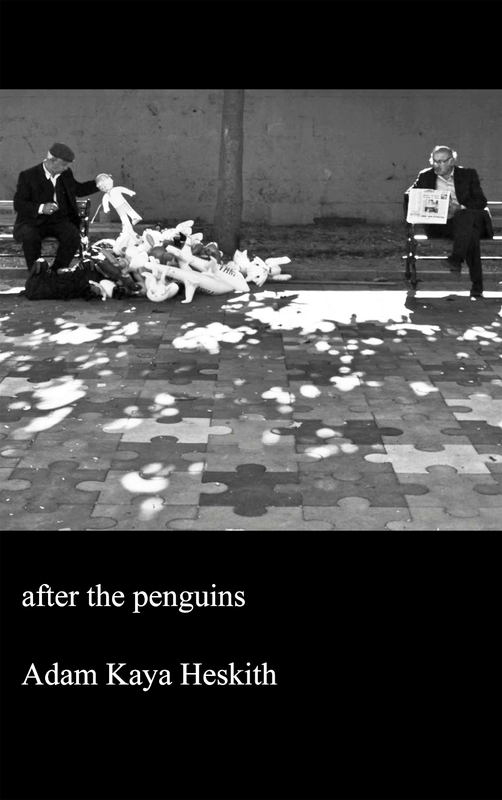 Read an excerpt from After the Penguins here.